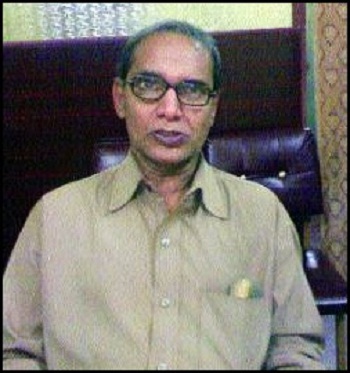 Revolutionaries and oppressed peoples all over the world are mourning the assassination of CPI(Maoist) leader Kishenji. The loss is especially difficult for the people of India, even as they gather to celebrate his life and contributions to human liberation. There is evidence Kishenji killed in what is called a “fake encounter.” This is an incident when police or paramilitaries capture a person, kill her/him in detention, and then manufacture evidence to make the killing look like it occurred in combat. It is nothing but cowardly, ruthless, cold-blooded murder. Indian state forces have often engaged in this practice to cover up their ruthless persecution of Maoist and Adivasi (tribal) people. This article appeared at the Hindustan Times. The country that I live in is becoming more and more repressive, more and more of a police state…. India is hardening as a state. It has to continue to give the impression of being a messy, cuddly democracy but actually what’s going on outside the arc lights is really desperate. When Mamata Banerjee and her populist party, the Trinamool Congress, won elections in West Bengal last May, the bourgeois press claimed she would be good for the CPI(Maoist). Some outlets spread more direct disinformation, suggesting the two parties had some kind of secret alliance. The truth has been quite the opposite. 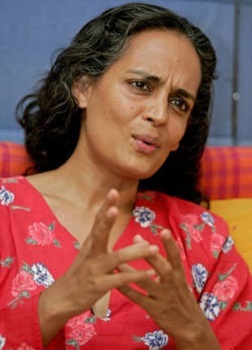 Since her election, Banerjee has tried to undermine the Maoist influence in West Bengal through offers of talks, attempts to undermine Maoist-led development, and now, threats. 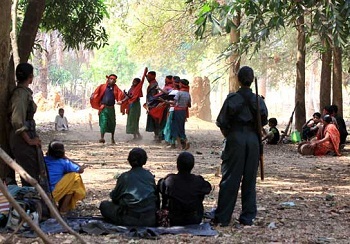 The Maoists, for their part, have not been phased, continuing their program of building clinics, schools, infrastructure and insisting on self determination for tribal peoples. 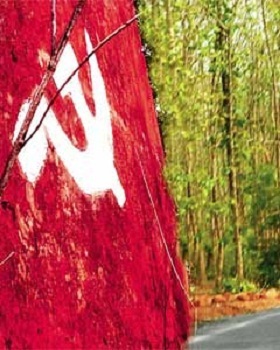 The following article from the Times of India gives a glimpse of the kind of political power the CPI(Maoist) holds in India’s fourth-most populous state. 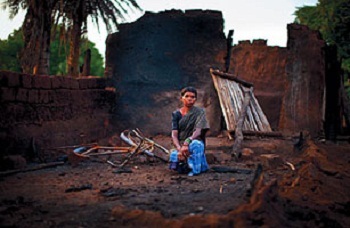 It is common in Dantewada for the police to pass off responsibility for their crimes onto the Maoists. While the media parrots the police version, people accept this as yet another instance of “inherent Maoist cruelty”. 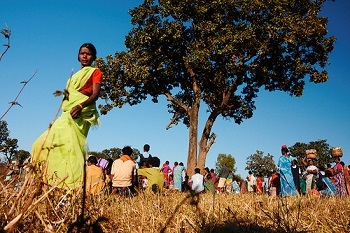 I would like to highlight a recent event from Dantewada as an example of phenomenon. 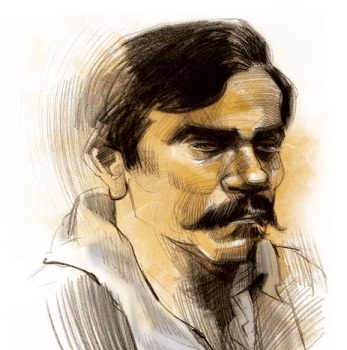 The event in question, it is interesting to note, has not only seen the incarceration of sub inspector of police, Ghanshyam Patel, but also the rejection of his bail petition by the High Court. Two SPOs involved in this event, moreover, are absconding. I informed Medha Patkar about these murders. When Medha Patkar wrote about this event to DGP Vishwaranjan, the latter had retorted that Himanshu has the habit of lying. It must have been the handiwork of the the Maoists, the DGP went on to suggest to Medha. Now, a sub inspector from his own police force is behind bars for the incident. So, who has been lying? This short video narrates efforts of the Communist Party of India (Maoist) to build revolutionary medical camps in Bihar. One of the featured camp’s primary aims is to eradicate life-threatening diseases like malaria and diarrhea. Thanks to Sidhartha S. for pointing it out. It seems that the CPI(Maoist) is strengthening its influence in West Bengal, and even the reactionary media is taking note. The following report from The Hindustan Times gives the Maoists begrudging praise for their work in the area — for their health centers and infrastructure projects. It should be noted that such initiatives are not a “change of face” for the Maoists, but consistent with their long-term strategy. Thanks to Sidhartha S. for suggesting this piece. 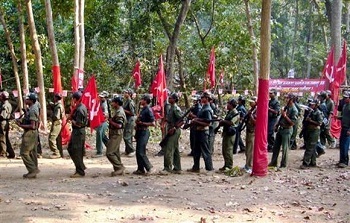 September 10, 2011–From symbolising terror and subjugation, Maoists are now aiming for a change of perception. Or so it seems, at least in their strongholds in Jangalmahal area of Bengal. 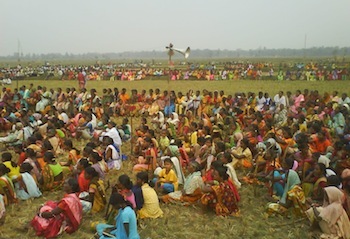 In Maoist-dominated areas of West Midnapore, at about 130-150 km from Kolkata, which Hindustan Times visited recently, rebels have not only recovered lost ground, but are also running health centres and schools, building embankments and, repairing roads and ponds. This comes from mangalorean.com. 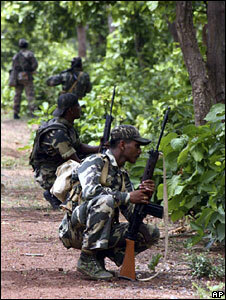 The Indian Maoists have been ardent defenders of the adivasi people who are being actively hunted by the Indian state. 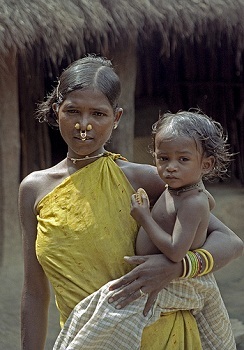 The tribal people of Eastern India, targets of the state. 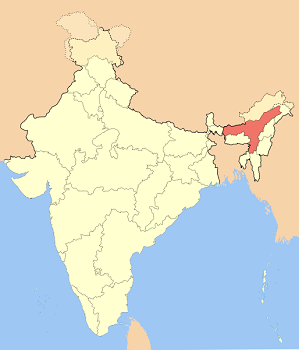 Raipur, July 4 (IANS) A protest week called by the outlawed Communist Party of India-Maoist (CPI-Maoist) began Monday in Chhattisgarh, hitting life in the state’s vast forested interiors, police said. “The protest week has hit life in the interior pockets of Bastar’s 40,000 sq km area where operators have kept buses and smaller passenger vehicles off the road fearing a Maoist attack,” a senior officer at the police headquarters here told IANS. The official added that hundreds of police and paramilitary troopers have been relocated to strengthen security in the jungle areas vulnerable to attacks. 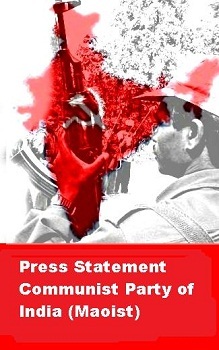 Thus far the Indian government has not used its standing army in public, covert operations against the CPI(Maoist), instead relying on a combination of police forces and right-wing militias to attack the Maoists and their tribal supporters. Now it seems that the state’s approach has changed, and it has moved its army into Chhattisgarh, near one of the Maoists’ strongholds. This means the notoriously brutal Indian Army will have new opportunities to commit atrocities. Revolution in South Asia encourages its readers to follow these developments closely.